Task Force Brawler was full of interesting and dynamic characters. From Brawler Six to men like Andrew Alvord—the unit’s fighting quartermaster—to Cassie Moore (the unit’s only female Apache pilot) and C-17-flight-engineer- turned- Blackhawk-pilot Hunter Lescoe, this unique aviation task force marched to a different beat thanks to is remarkably diverse and talented members. 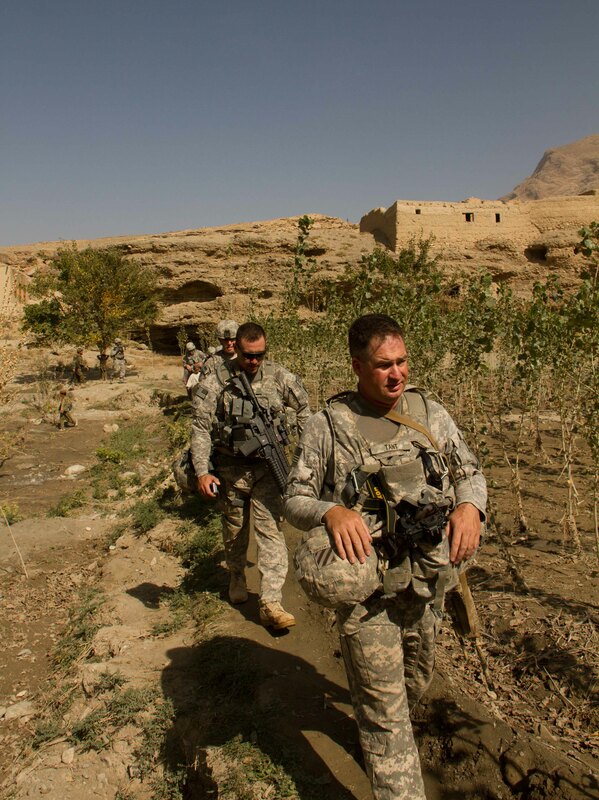 Sergeant Scott Tant, an Arkansas native, ranks as one of the most unique individuals I met at FOB Shank. 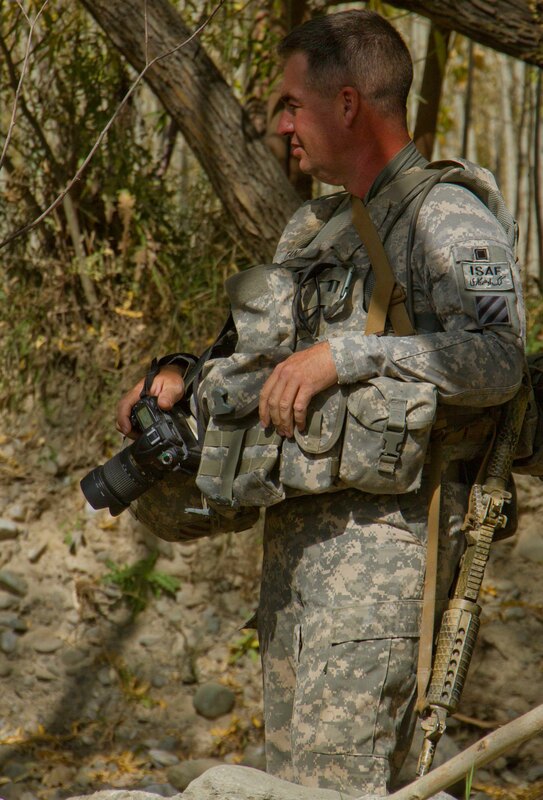 Scott is a supply NCO who has a passion for photography. Lieutenant Colonel Ault recognized that talent and gave Sergeant Tant Task Force Brawler’s Public Affairs Office. For a year, Scott essentially served as one-man operation to document TF Brawler’s operations in theater. 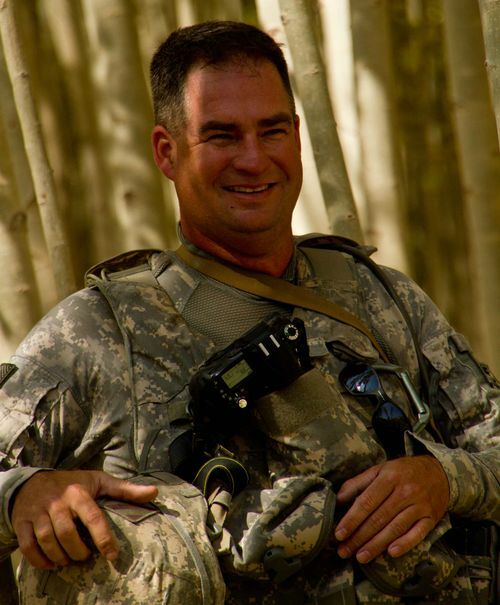 Scott went out on dozens of missions with the Ground Combat Platoon. I was amazed at Scott’s attention to detail. His mind was a catalog of all things normal or abnormal in each village we visited. His eye for detail caught things that I never would have noticed—a few carved letters in a door, a new paint job on a building, the nuances that certain known leaders displayed as they interacted with Lt. Mace (Brawler’s S9) or Captain Alvord (PL for the GCP). Nothing escaped Scott’s eye. At one point, I told him he’s got a career waiting for him as a Pinkerton Private Eye. His photographs reflect that attention to detail. Years ago, I collected about 40,000 photographs from World War II, including vast numbers taken by US Army Signal Corps cameramen. It is easy to distinguish those photographers who loved their craft from those who simply considered it a wartime job and nothing more. Scott transcended both extremes this past year in Afghanistan. 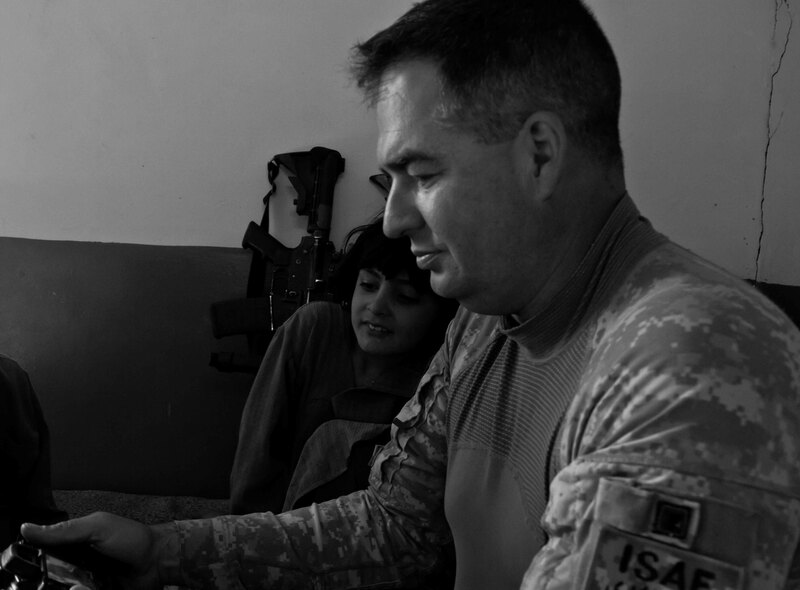 He is an artist in uniform, and his photographs rank as some of the best I’ve ever seen emerge from a combat theater, and several of his photos have won awards. Those are considered to be some of the best images of Army Aviation ever taken during the war in Afghanistan. One thing I noticed within TF Brawler is a sense of humbleness. It started at the top with Brawler Six, whose modesty and discomfort in the media spotlight was a refreshing change from some of the things I’ve experienced since I swiched to writing about current military affairs. There was no “me too” in Brawler Nation, just a quiet pride in the entire task force’s accomplishments. Scott Tant reflected that sense of humility. 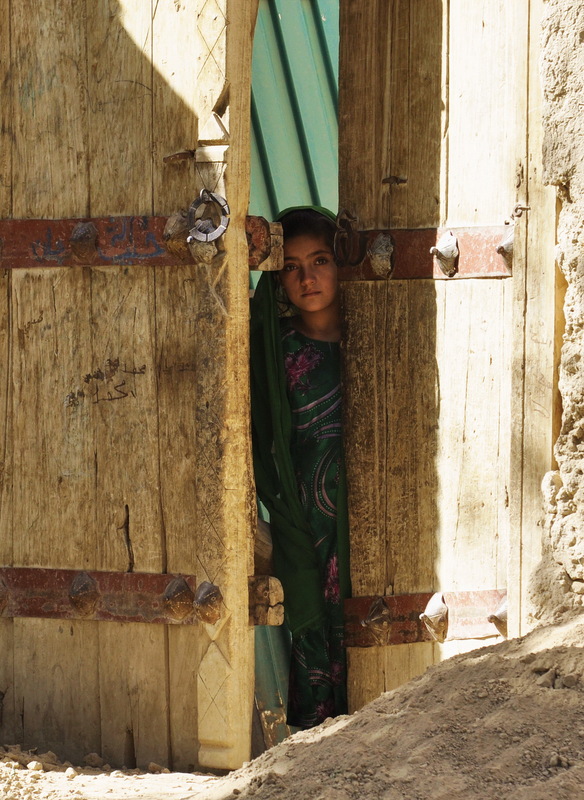 In his tiny office across from the XO’s, he created an archive of photographs that document the task force’s year in Afghanistan better than almost anything I’ve ever seen for a unit in the Global War on Terror. His artistic eye, his skill with his equipment (even if he is a Nikon guy), and his love of the craft ensured that every image tells a unique and powerful story. Someday, I hope to see his work in print; our nation needs to see the war through Scott’s eyes. I agree – the pictures should be published. I not only greatly admire the combat photographers, but so many civilians have turned a blind eye to what’s been going on for so long in the Middle East – this should help shake them from their coma.